First published in 1865, Lewis Carroll s Alice s Adventures in Wonderland was an immediate success, as was its sequel, Through the Looking-Glass. Carroll s sense of the absurd and his amazing gift for games of logic and language have secured for the Alice books an enduring spot in the hearts of both adults and children. Alice begins her adventures when she follows the frantically delayed White Rabbit down a hole into the magical world of Wonderland, where she meets a variety of wonderful creatures, including Tweedledee and Tweedledum, the Cheshire Cat, the hookah-smoking Caterpillar, the Mad Hatter, and the Queen of Heartswho, with the help of her enchanted deck of playing cards, tricks Alice into playing a bizarre game of croquet. 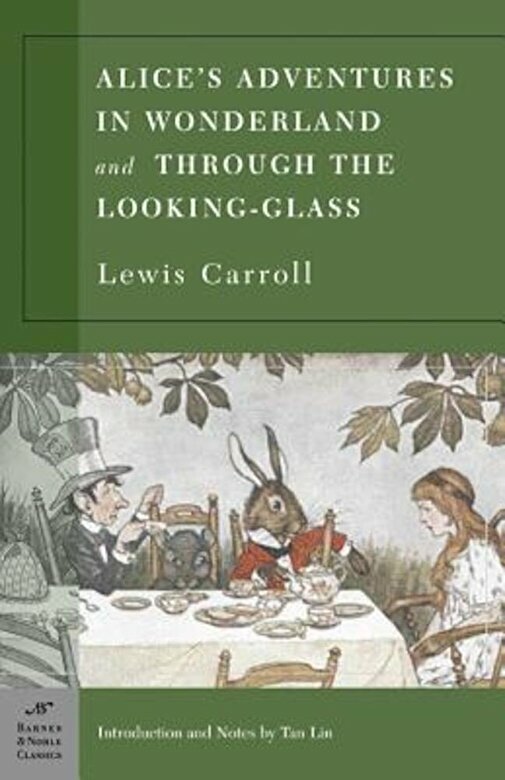 Alice continues her adventures in Through the Looking-Glass, which is loosely based on a game of chess and includes Carroll s famous poem Jabberwocky. Throughout her fantastic journeys, Alice retains her reason, humor, and sense of justice. She has become one of the great characters of imaginative literature, as immortal as Don Quixote, Huckleberry Finn, Captain Ahab, Sherlock Holmes, and Dorothy Gale of Kansas.Tan Lin is a writer, artist, and critic. He is the author of two books of poetry, Lotion Bullwhip Giraffe and IDM.